Dubai: His Highness Shaikh Mohammad Bin Rashid Al Maktoum, Vice President and Prime Minister of the UAE and Ruler of Dubai has approved the setting up of the Dubai International Communication Committee (DICC), which was initiated by the Government of Dubai Media Office (GDMO) to promote effective and positive engagement with international media in order to raise the profile of Dubai’s major achievements and initiatives. Shaikh Mohammad was briefed about the objectives of the programme which aims to provide the media with accurate information from the government in addition to reports based on this information. The approval was given during a visit by Shaikh Mohammad to the GDMO headquarters. Mona Ganem Al Merri, Director General of the Government of Dubai Media Office, briefed Shaikh Mohammad on GDMO’s latest strategic projects that aim to raise Dubai’s global profile, deliver Dubai’s messages to global audiences, and enhance GDMO’s status as the main source of information from the government for local, regional and international media. Shaikh Mohammad commended GDMO’s efforts and projects and highlighted the importance of developing innovative government communication strategies for conveying the UAE’s achievements and its aspirations for creating a better future for the region and the world. Al Merri briefed the Dubai Ruler about the cooperation between GDMO and various Dubai government entities through initiatives like the DICC and Dubai Media Diplomacy and Strategic Communication Network. She also spoke about the various training programmes organised in cooperation with prominent international institutes, as well as visits undertaken to enhance understanding of international best practices. 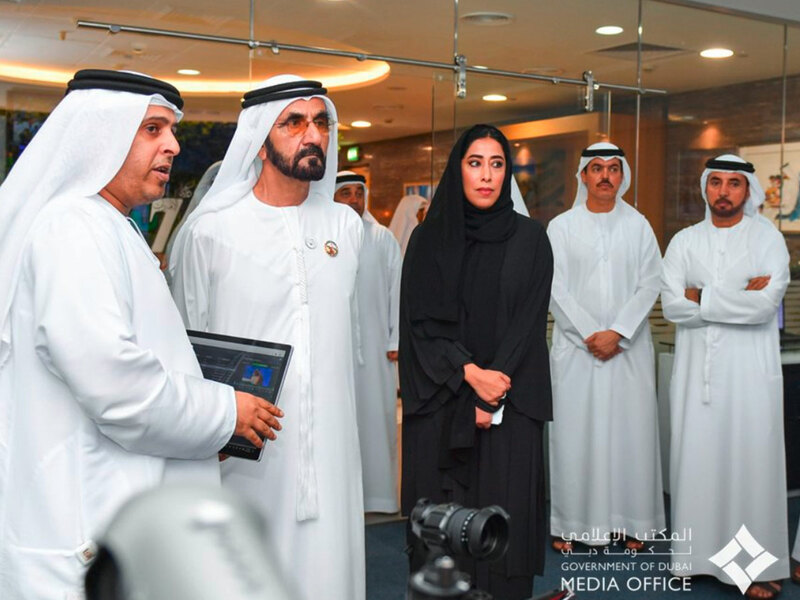 She further briefed Shaikh Mohammad about the initiatives launched by Brand Dubai, the creative arm of GDMO, which aims to showcase Dubai’s creative and entrepreneurial communities through initiatives like Proudly From Dubai, Dubai Canvas and Jumeirah Project. Shaikh Mohammad was also briefed about the latest technology deployed by GDMO in its operations.